I have been practicing the Shorinji Kempo art of self-defense since 1987. This page will be the base page for some study materials I'm collecting, and also provides links to the home pages of various Shorinji Kempo dojos in North America and other related resources. Briefly, it is a japanese martial art and philosophical system. About 1-2 million people world-wide practice Shorinji Kempo, most of them in the far east. It was founded in 1947 by Doshin So, as a means for reaching out to people and helping them to improve themselves and their society. As a martial art, Shorinji Kempo includes both hard techniques (like punches and blocks) and soft techniques (like escapes and throws). The emphasis throughout the body of technique is on safety and using an attacker's actions against them. Shorinji Kempo does not teach techniques that kill or maim - to do so would be contrary to the underlying philosophy. Instead, techniques are designed for self-defense with minimal damage to an attacker. As a philosophy, Shorinji Kempo advocates individual responsibility and respect for others. Zen buddhaism is also part of the art's foundation. In 1945, So Doshin was a young man serving for his country, Japan, in Manchuria. He was present for the invasion of Manchuria by the Russian Army in August of that year. A few days after the invasion, the World War II ended with the defeat of Japan. For the next year, So Doshin lived in Manchuria and witnessed the misery inflicted on the people of that region, and especially on the defeated Japanese, by the occupying forces. History books that depict that era sometimes depersonalize the war and its results, but So Doshin did not see things this way. The bitter reality of defeat and human suffering brought him the understanding that people were responsible for the war, and that only by improving the quality of the people could other tragedies like it be prevented. In 1947, So Doshin returned to Japan, a country under occupation. He observed that his country, in the despair that followed utter defeat, was bereft of compassion and spirit. Certainly this did not fit the memories he had of a homeland he had left behind before going off to war, and So Doshin was determined to help. He believed that by helping those around him, especially youth, improve themselves and their society, that he could help rebuild his country. Had So Doshin merely set up a soapbox and preached, then we would probably never have heard anything about him. Instead, he founded a school based on self-defense techniques he had mastered in China, and codified the teachings of the school to emphasize personal discipline and mutual improvement. This is consonant with a basic principles of Buddhaism: development through self-knowlege and knowlege of others. So Doshin believed that by teaching people and helping them to establish mutual trust and cooperation, that he could form a basis for a peaceful and responsible society. 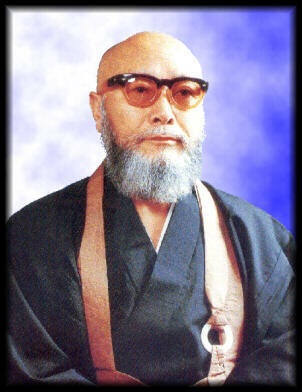 In 1947, So Doshin founded Shorinji Kempo. At first, he taught a handful of students in a tiny room behind his house. Over the years, his students began teaching others, spreading across Japan and into other countries around the world. So Doshin, who we call Kaiso (The Founder), died in 1980. His vision of teaching people to improve each other through mutual support and respect has been carried on by his students around the world. Some of the principles that Shorinji Kempo students are taught, we express with three statements. The real versions are in Japanese, of course, but here are the Official Translation and an unofficial translation. I began practicing with the AT&T Bell Labs Shorinji Kempo club in 1987. The teacher at the Bell Labs branch was Dr. Bob Tkach.After practicing with Bob and the fine kenshi there for almost a year, I moved to Columbia, MD, and began practicing with the George Washington branch in Washington DC. The teacher at that time was Dr. Nick Frigo, but he immediately left for the west coast, leaving the club under the direction of Tanya Ringland. Later, the George Washington branch was led by Ian Burns and later by Tom Nishiyama. Later, the descendant of the George Washington branch practices at the Inter-American Development Bank, under the direction of Olivier Fraisse with assistance from instructor Allen Liff. Nowadays, the George Washington branch is inactive and all the action in D.C. is at the World Bank. For a couple of years I was teaching Shorinji Kempo in Baltimore, with some support from Allen Liff, and had work-out once a week at the Harborview Health Club on the Inner Harbor. Unfortunately, due to lack of students, that activity was shut down. My present rank is 3rd dan. I took my ni-dan test from Sensei Ken Ohashi back in 1994, and my san-dan from Shimada-sensei at the 2001 Taikai in Paris. There were two Shorinji Kempo branches in Washington, but they are merged right now. The long-established World Bank Shorinji Kempo club is back to practicing at the World Bank's 'I' building, at 18th and I St. The branch master is Allen Liff. The nomadic George Washington University Shorinji Kempo club was practicing at the Inter-American Development Bank on New York Ave. Unfortunately, that practice venue is no longer available to us. So, the only Kempo left in Washington is at the World Bank. Other Shorinji Kempo branches in the eastern USA include the Delmarva branch on the Maryland peninsula, the Boston branch, the Miami branch recently re-opened, and the New York City branch. I used to teach a small Shorinji Kempo class in downtown Baltimore. We met on Wednesday evenings. Unfortunately, this activity closed down due to lack of students. Here are links to some Kempo resources on the WWW. All of these pages are maintained by volunteers except for the main page in Japan. This is the home page of the World Shorinji Kempo Organization in Japan. The site seems to be entirely in Japanese, but has some nice pictures. This site hosts information about six dojos in southern England. It also has some very good kenshi resources, including an excellent word & phrase list, FAQ, and picture gallery. Home page of the stalwart NYC branch, now under the leadership of Ohashi-sensei; a very up-to-date and informative site. Home page of the very active Seattle branch; this site recently moved (yet again), and it has very good information and up-to-date links. Fairly new home page of the German Shorinji Kempo clubs, currently available only in German. Apparently, Shorinji Kempo has been practiced there since 1979! Home page of a group of Vancouver-area branches. Includes practice times for all of them, I think. New web site for the respected Toronto branch. Includes club contact information and links. New dojo in Canada, led by the able Fontaine-sensei; site includes some nice pictures and the usual location and practice info. Very nice set of pages by Brian Clossen of the Alberta, Canada, branch. Has a good background summary as well as links to other Kempo sites. Newly updated home page of the Ann Arbor, Michigan, branch. This branch is led by my friend and excellent instructor, Gary Dolce. Web site of the best branch down under (according to Neil C). Fancy branch home page with work-out times and information for the Brisbane branch. Features lots of links to other individual and branch pages. Note the spiffy new domain name! New web site for the long-established Iowa branch. Includes detailed workout schedule, nice photo gallery, and more. New branch web page with the UK translations of the chinkon, practice information, and more. Modest but tidy Kempo web site by a Montana student. This site includes some nice animated GIFs for some fundamental techniques, and lots of links, rated and separated into handy categories. Small web site for a fairly new branch in California. Includes some kempo history, contact information, workout times. Small site for the FIU branch, led by Sensei Messersmith. Branch web site for the club in Visby, Sweden. Has links and contact information for other Kempo branches in Sweden. The pages are also available in Swedish. New web site for the renowned Scottish Shorinji Kempo club. Includes some history, workout schedule, pictures. Very extensive informational site about Shorinji Kempo; includes really neat animations of many techniques. Available in English and Japanese. No web page yet for this active branch, but you can e-mail the branch master. This page has some nice pictures of Shorinji Kempo practice in Japan. New web site for the long-standing Alabama branches. Include some nice introductory and philosophy info, as well as a practice schedule and a nice photo gallery. Another page by British kenshi; this one includes some philosophy resources, but seems to be still under construction. This is the home page of an active branch in Yokohama, Japan. Currently just in Japanese, but may have an English page soon. The Caltech Branch has a new homepage with background on the art and information on where and when they practice. Very nice site by and about the branch in Amsterdam, Netherlands. Includes a picture gallery and an impressive geographic branch listing. This is a nice personal page by a British Kenshi. Has information on purchasing the BSKF videotape. Fairly new home page for the large and long-established San Francisco branch. Includes some nice pictures from the Paris Taikai. Web site of the main branch in Switzerland; most of the text seems to be in German. Includes work-out schedules and info for other Swiss branches, as well as a good set of worldwide Kempo links. Home page of the Arahan branch in Granada, Spain. Very nice, informative page in Spanish, with technical data and links. Very nice Kempo web site by an Australian living and studying Kempo in Japan. Has a great set of links to branch web sites worldwide. Very informative site by a long-standing English branch. This Shorinji Kempo site owned by Neal Ziring. This page written by Neal Ziring, last modified 7/9/11. The name "Shorinji Kempo" and the linked rings symbol are registered trademarks of Shorinji Kempo Unity and the World Shorinji Kempo Organization. Their use is limited to authorized parties.